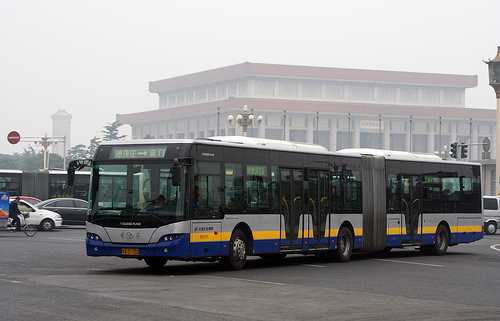 A Bus Rapid Transit vehicle in Beijing, across from the Forbidden City. Photo by AaverageJoe. 100,000 people use Beijing’s BRT everyday. Beijing has 2 BRT lines under construction, and 3 lines in the planning process.